"A fool says in his heart, "There is no God."" "How do you hate someone you say doesn't exist?" So a little over a week ago I went to see the movie, "God's not Dead." I went with a small group from my church. A bunch of us try to get together about every other Friday to just chat, pick each other's brains, and so on. We decided to see this film. To be honest, most so-call "Christian" films tend to make me break out in a rash in unmentionable places. Most of them strike me as being an hour and a half long tract stuffed in your face. No subtlety what so ever. I'm not trying to be mean to Kirk Cameron, but so many of these movies are simply preaching to the choir. This movie was different. I actually really enjoyed it. For one thing, the actors actually knew how to act. (A rarity.) I also liked it that not everything was resolved at the end. Not everyone became a christian. That's the way it is in real life. The premise of the film is that a college freshman is forced to defend the existence of God before all of his classmates by his militantly atheist professor. In the process, he loses his girlfriend, his family is upset, and so on. Atheism. Atheism is fascinating to me. I've known plenty of atheists, or at least people who call themselves atheists. In fact, there is a pop culture phenomenon in America today of a sort-of Instant Atheist. I recall an interview a few years back of Seth McFarlane, the creator of "Family Guy," explaining that he didn't believe in the god of George W. Bush, and was thus an atheist. I thought to myself, "We'll I'm not sure if I believe in that god either. But I don't think that makes me an atheist." It's my opinion that this pop phenomenon is not particularly deep, nor intellectually rigorous. For the record, I'm not interested in bashing atheists or agnostics. What they believe is their business, and no one answers to me on judgment day. I have more than enough on my own plate to deal with before I go around stepping on people's toes. But I did want to write about what I have observed. Obviously, there can be exceptions. But I'm going to break down what I have noticed over the years. The Casual Atheist: I think that the pop phenomenon could fit into here. However, I first ran into these types when I was teaching in the Czech Republic back in 2000. The Czechs aren't real keen on any type of religion, due to the fact that the catholic church was often used to keep them down. It's an understandable reaction. To the average Czech, they just didn't give the idea of God much thought. If they did, they were kind of creeped out due to past history. They just figured that "This is it. This is all we've got. So just live." They weren't terribly hostile to "God." They just didn't have time for him. These were the first real atheists I had met. It wasn't deep and well-examined. It was simply a way of living. The True Atheist: At the last school that I taught at, I had a very good friend who could fit into this category. She was a great help to me at this school. She was very gracious and kind...and laughed at all of my jokes. I call her a "True" atheist, because she admitted that if you were going to be an atheist, then you had to admit that life was meaningless. Whatever meaning you found in life was that of your own making, and it was no better or worse than anyone else's. For more on this, try reading any of the works of Jean Paul Sartre or Albert Camus. They were French existentialist philosophers and atheists. I obviously don't agree with them, but they were brutally honest about the meaninglessness of existence. Anyway, my friend didn't hate people of faith. She just told me that I had rose colored glasses. She told me in no uncertain terms that we are all just a result of a cosmic accident. There is no higher calling or purpose, and when you die you are just worm food. Hey, at least she was honest. If there is no God, then the universe does not care. You/we/I are just random accidents. There is no universal morality, no true good and bad. It's all relative. You might not "Like" certain things, but you can't claim that they are inherently right or wrong because there is nothing to base that on except yourself...which is no more important than anyone else's. I knew one other guy who I would call a True atheist. He admitted everything I just wrote. (Heck, that's who I got a lot of it from.) Since there was no true purpose in life, he decided to be a libertine. He spent his youth getting with ever chick he could. He was going to squeeze as much sensual pleasure out of life that he could. I respected him for it. However, I have a problem believing these types. I really can't think of them as true atheists. I'm not trying to be mean, but every time I hear them trash the idea of God, the more I think they are firm believers in his existence. They totally believe in God. They are simply really pissed-off at him!!! They don't hate the idea of God. They hate God. "How do you hate someone you say doesn't exist?" 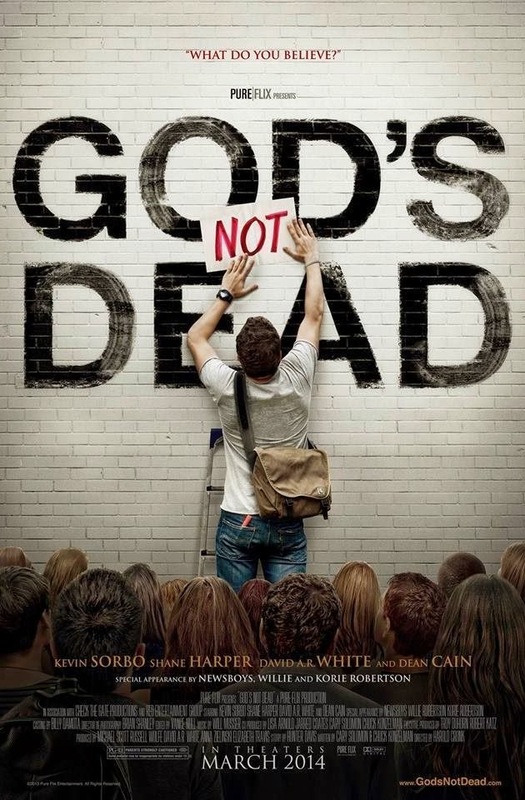 is asked by the main character of "God's not dead." Every single time I hear a militant atheist talk, I want to ask that question. I don't mind having a respectful discussion with anyone. I enjoy it...including atheists. But these militant folks? Hmm. The psalmist wrote that "A fool says in his heart, 'There is no God.'" Which is a brilliant observation. The psalmist does not say "Head, Mind, Soul,etc." He chose a different word. The older I get, the more I understand that. We think we are rational actors, but the truth is that we are not. We believe what our hearts want to believe. Just think of the kooks that get all their news from some talking head on FOX or MSNBC. They have already made up their minds what they want to believe. Now they are simply looking for someone to tell them it's true. What ever is front and center in your heart is, in fact, your true God. You can say you don't believe in him, but I don't believe you. P.S. Peter Rollins is a philosopher out of Belfast. Which is why it's hard to understand what he is saying. He is part of the whole Emerging Church thing. (Which makes him evil in the eyes of some.) Say what you will, I would love to listen to Pete, or even Rob Bell, debate Dawkins or Hitchens. THAT would be fun.